Labour Backs Public Vote on Brexit to Groans and Wails from the Pro-Brexit Left. Soon to appear on a Screen near you. It’s official: Labour is backing a fresh public vote on the UK’s relationship with the EU. Last night, Jeremy Corbyn told the parliamentary party that an official amendment will be tabled to the government’s neutral Brexit motion this week setting out his “five demands” for Brexit. This seeks to change our negotiating position, but will be rejected by the Commons. Then the leader revealed we had reached the final stage of Labour’s conference policy, the moment many have been fighting for and others have been dreading, as he said that “in line with our conference policy, we are committed to also putting forward or supporting an amendment in favour of a public vote to prevent a damaging Tory Brexit being forced on the country”. The groans of the Lexiteers were not slow in coming. Instead of building on the insurgent mass politics that gave us the Corbyn leadership and wiped out the Tory majority, the Labour left has instead diverted its energies and tied itself up in a series of compromises with the Labour Friends of Israel and the Euro-maniacs – of whom the most extreme honoured these ingenious overtures by ditching the party. The Corbyn project is once again in peril. This will not mark the end of the political turmoil, but a new phase of it. But that won’t be contained in the (English) two party system either. It will be much more chaotic and politically violent. Park Brexit for a moment. Is the radical left in Britain remotely prepared for this? Recent becalming and running for cover suggests that far too much of it is not. There is a race against time to change that. Corbyn ‘aides’ aka, Seumas Milne and his little band of helpers, were not slow to respond. Brexit referendum: Labour’s Keir Starmer slaps down Corbyn aides over ballot question. However, on Monday night, a Labour source said the party would not support the amendment in its current form, because “we will not be voting for anything which supports May’s damaging Brexit deal”. A second, anonymous sources briefed that Emily Thornberry, the shadow foreign secretary, “misspoke” when she said the referendum was likely to be Ms May’s deal vs Remain. Asked if Mr Corbyn’s aides were attempting to dilute the pledge, Sir Keir said: “You have got elected politicians on your programme – you had Emily Thornberry out last night – setting out what the position is that we agreed as the Labour party. 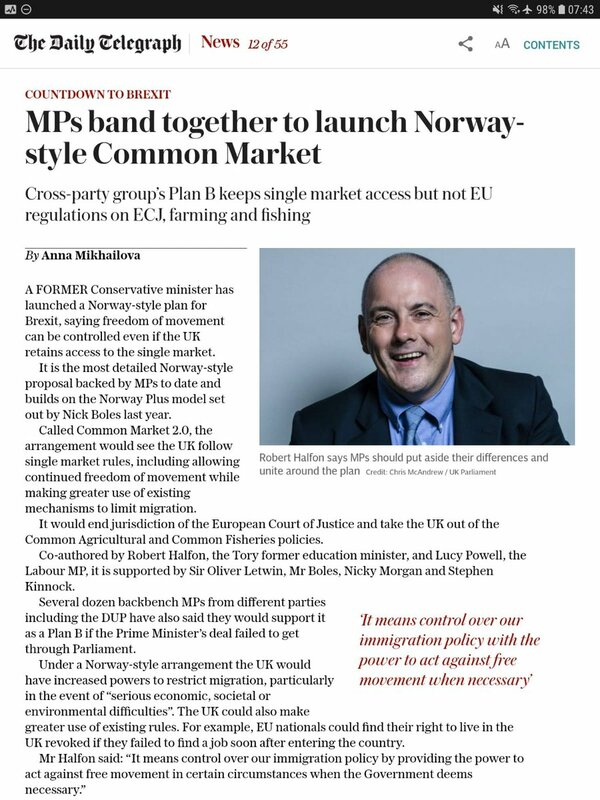 Sir Keir made clear that a “credible Leave option” meant Ms May’s deal, if approved – although it is still unclear if Labour will abstain to allow it to pass, subject to a referendum. It appeared Mr Corbyn’s aides were suggesting Labour would only back a referendum on its own Brexit proposals, which are almost certain to be rejected by MPs. Staunch Lexiters gnashed and ground their teeth, disappearing in a froth of rage. Stop attacking the leadership and trust Jeremy, you Blairites. John McDonnell, Moving “Towards a People’s Vote” on Brexit. McDonnell sticks to his Principles. This is a genuine step forward for the internationalist left. I cannot underline too much how more comfortable I and many feel with McDonnell’s way of dealing with these issues then the official line so far. That’s without the kind of recoil many of us feel at the hyper ‘anti Zionist’ reaction. The Evening Standard notes that Len McCluskey, leader of UNITE, is opposed to any such vote. Love Socialism, Hate Brexit – MPs and Meeting Make Waves. On Wednesday night a Union boss told the world his pro-Brexit policy. Len McCluskey has said that remaining in the EU would “not be the best option” for the UK – but called on Prime Minister Theresa May to accept that a soft version of Brexit is the only one achievable. Talking to ITV’s Robert Peston on Wednesday night, the General Secretary of Unite, which represents 1.2 million British workers across a wide range of sectors, said that he prefers a softer Brexit with membership of a customs union and tariff-free access to the single market. He told Mr Peston that he was “vehemently in favour of a people’s vote, it’s called a general election” but said that he was against any efforts that could reverse the Brexit process as a whole. Yesterday Clive Lewis spoke at “Love Socialism, Hate Brexit” with other Labour MPs to express a different view. This is a man who resigned from Labour’s front bench in order to vote against triggering Article 50, but has now returned, and claims he has only done so because part of Labour’s Brexit policy involves the possibility of a second referendum, which now looks unlikely to happen. Clive Lewis warned the Love Socialism, Hate Brexit crowd that the Liberal Democrats were “utterly, comprehensively destroyed for facilitating austerity,” and that the Labour Party risked the same fate by “facilitating a Tory Brexit”. Labour tensions over Brexit threatened to boil over on Thursday as two shadow ministers broke ranks to call for a second referendum, and others hinted they could quit the party unless Jeremy Corbyn’s position changed over the next fortnight. Clive Lewis, a shadow Treasury minister, warned Corbyn that Labour might never be forgiven and could disappear from UK politics if MPs voted to facilitate a Conservative Brexit deal. Another shadow minister, Paul Sweeney, also backed a second referendum on the final Brexit deal for the first time on Thursday. The high-profile pro-EU backbencher Chris Leslie said he was “clinging to hope” that the Conservatives would back a fresh poll in the next fortnight, suggesting that he had lost faith in his own party. Leslie is among several backbench MPs rumoured to be considering quitting the party in the coming weeks, as concerns mount not only over the party’s Brexit policy but also how it has dealt with cases of antisemitism. The shadow minister, a prominent supporter of Corbyn, made his comments at a Love Socialism, Hate Brexit rally promoted by the pro-referendum group Another Europe is Possible. Lewis, who resigned from the shadow cabinet in 2017 to vote against triggering article 50 but returned to the frontbench last year, said Labour could face electoral annihilation similar to that of the Liberal Democrats after the party entered a coalition with the Tories. 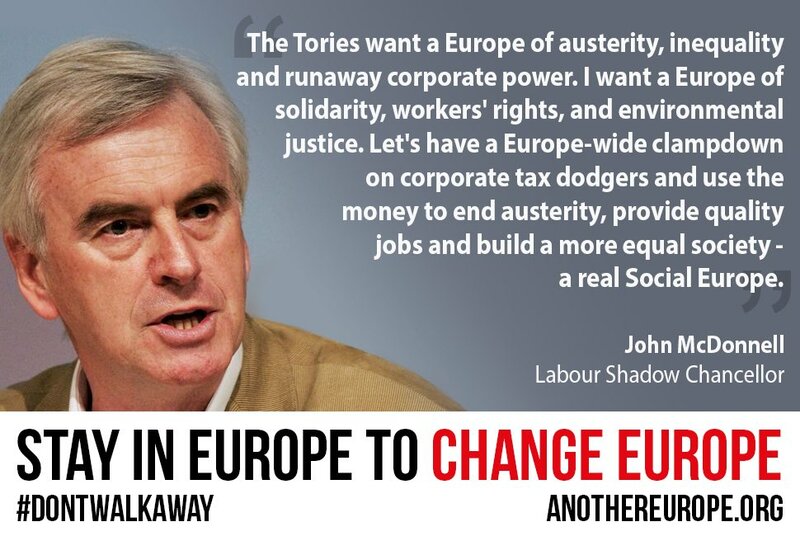 The left should put forward an anti-austerity, anti-racist vision of Brexit that rejects the neoliberal single market and defends freedom of movement. Amazingly, there are still people ostensibly on the Labour left appealing for ‘party unity’. But the last few weeks will have done wonders to convince most Jeremy Corbyn supporters that, in fact, there can be no unity with the right in the party. Corbyn and his allies have certainly launched plenty of appeals for ‘unity’ in the past three and a half years – trying to appease the right by bending over backwards to accept most of their demands. But we are seeing signs that, perhaps, the policy of appeasement pursued by Corbyn’s office might finally be coming to an end. the campaign to equate anti-Zionism with anti-Semitism is very much part and parcel of the slow coup against Jeremy Corbyn and the left. With the Tories in disarray, the anti-#Brexit left of #Labour should be preparing for all possibilities – including a General Election.